With an average of 700 airplanes landing each day, an enormous amount of goods touch ground at Amsterdam Airport Schiphol every year. Timely handling of cargo is crucial. Delays can be costly and unforeseen gate changes can throw a spanner in the works for dnata, one of five freight handlers operating at Schiphol. Dnata and their logistical partner Districon have developed a way to combat delays and keep up to date with last-minute gate changes. In the last years, we have seen a steady rise in cargo volume at Amsterdam Airport Schiphol. This drives the need for efficiency and means passenger flights are increasingly exploited to simultaneously transport people and cargo. 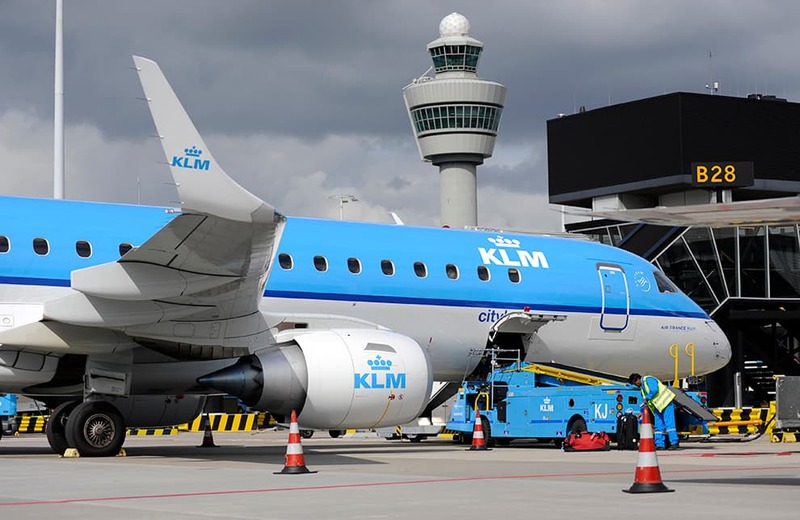 As soon as an airplane lands at Amsterdam Airport Schiphol (AAS), time is of the essence: the sooner passengers have disembarked, and the sooner luggage and cargo have been unloaded, the quicker the airplane can be utilized again. Cargo finds its way to and from the airplane by tug. At a top speed of 30 km/h, it can take a bit of time before it reaches the required gate. Previously, gate information was communicated to the tug driver the old-fashioned way: face-to-face or by telephone. Though personal and direct, this form of communication has one major drawback - it requires perfect timing. News of a gate change does not always immediately reach the tug driver and when a tug traveling at a maximum speed of 30 km/h suddenly has to change direction, further delays are inevitable. Dnata and Districon have teamed up to find a way to prevent delays in the future. As it turns out, the solution lies in the right person having access to the right data, at the right time. In dnata’s case, that means the tug driver needs to be immediately notified of a last-minute gate change. The sooner the driver is aware of the desired destination, the faster cargo can get to and from there. The data required by freight handlers has been made available by us, through the Operational Flight API (OFA). It offers a wealth of information on current and scheduled flights to and from the airport. The Operational Flight API makes this operational flight data available in a controlled and standardised way, to all parties involved, in real-time. Dnata and Districon have connected OFA data with their own. The combined data can be accessed on a tablet and it reveals exactly the information a tug driver needs to prevent delays. Face-to-face communication or telephone calls have been made obsolete, which further decreases the likelihood of miscommunication and planning errors. Our Operational Flight API offers flight information of passenger flights and cargo flights. Both scheduled and chartered. It can be used to add value to the travellers’ journey and various operational airport processes. We invite developers to further explore opportunities and to combine this API with other APIs - to develop innovative products and services. Our special API support team is there to help you, 24/7. You can contact us through number +31 20 601 44 45. Meet our business developers. They are happy to help you to develop value propositions and to create value with our APIs.